The black, glossy compact (adorable but showing every finger print) contains 15 g and retails for 41,95 € on the website here. The refill is sold separately for 34,95 € (see here). Upon application I notice a fresh, cucumber like scent that disappears quickly. The texture feels very light, almost watery and is a pleasure to wear. It is one of these foundations that you forget you are wearing. For review purposes, I have tried applying it with the sponge included, with a beauty blender and with a flat foundation brush. The coverage is medium, buildable to almost full and the finish is very natural. When applied with a beauty blender it leans more on the dewy side (never getting shiny though), when applied with a brush it has the best coverage. The application with the sponge is what gives me the desired coverage paired with a finish that even upon close application looks like skin. A slightly mattified skin, which is exactly what I am looking for. 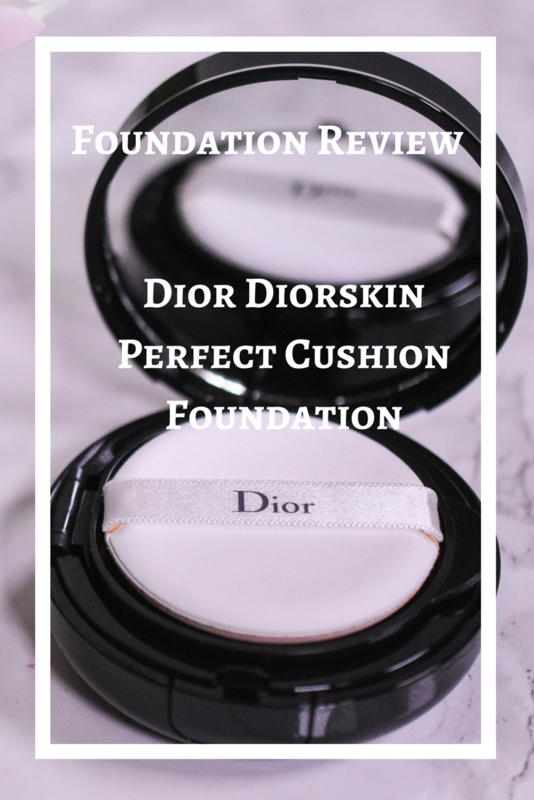 The Diorskin Perfect Cushion is marketed as matte, which in my humble opinion it isn´t. Matte is no-shine, no-dewy, powdered down 80s faces in my books, while this foundation provides effortless and 90s skin. But for once I am not complaining. Now I did not test the claimed 16 hours, but my regular 12 hours of foundation days are no problem. In the video I noticed separating around my t-zone at around 3-4 hours, but with a little setting powder on top that was no longer an issue. Which skin is it designed for? I tried it on normal skin with a slightly oily t-zone and was really impressed. On a face full of breakouts I did really enjoy the coverage. 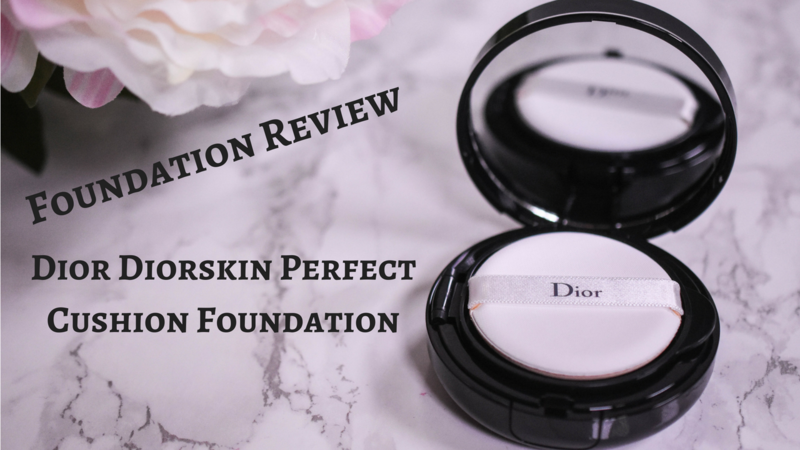 When my skin turned very oily, the foundation did vanish a lot quicker (at around six hours) and I needed to blot down my t-zone several times, but with the compact at hand for touch ups that was not really an issue. But with dry skin I had a hard time to make the foundation work. It did cling to all my dry patches, showing some I hadn´t even noticed before. Usually I combat that with mixing a little oil to the foundation before application, but how do you do that with a cushion? I tried applying the oil beforehand, but that seriously affected the wear time, so I finally settled for applying the foundation and the smoothing the tiniest amount of oil on top of the affected areas. Still not perfect regarding wear time and coverage, but way better than the flakiness it had been before. The finish is amazing and both staying power and coverage do impress me. But is it really worth the price for me? The texture sure is, but I guess I will see how long the compact is going to last until I make a final decision. 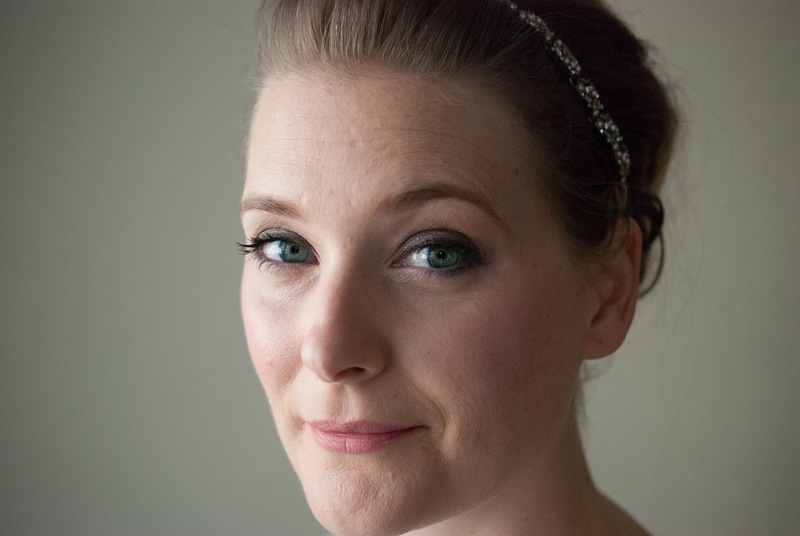 Anyone in love with really lightweight, effortless looking makeup that still gives great coverage. Anyone with dry skin though… Not the one for you. But, dear skin, now that this article is published, could you please calm down again and behave yourself? ← Instytutum Cleansing Milk – Are you an introvert?